he sight of one of the compact, human powered vehicles, parked neatly on the sidewalk, the labors of real farmers stacked neatly inside, is like a storybook version of what usually passes for food access and market share. My father invented the jelly omelette. Not all jelly omelettes, I later learned, but this one. As for those starving kids in Africa I was happy to send my dinner to? I care a lot more about them now, too. And the thousands of food insecure kids in the US. I don’t want to waste food because it is a privilege to be well fed when so many others are not. Xenia is a mythology. Like any real mythology, it belongs to everyone. When we rise above the clouds, we remember the sun’s been shining there all along. This series is all about differences in light. 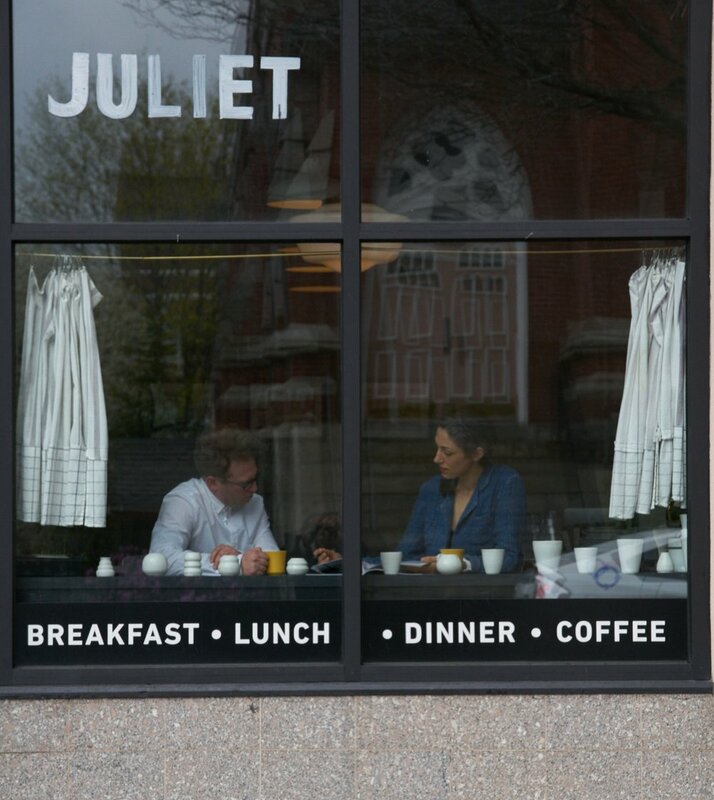 Capturing the light of distinct times of day, and capturing the light that sparkles into the interior of Juliet at quiet times when only a few see- right after it closes and just before it opens only a few hours later. In the spirit of These Wild Apples, this series turns snippets of conversation from our dining room into stories for everyone to overhear. If you were intrigued or outraged enough to dig deeper, you may have learned about a growing scientific consensus that the effects of plastic pollution are reaching right down to the base of oceanic food chains, threatening to disrupt critical ecosystems upon which we all depend. They have been ubiquitous throughout the landscape of the United States since the 1950’s, although a few had been in place long before that. They began appearing by the late 19th century, Edison’s electric light bulb being the main driver of their initial proliferation. So, yes, please, if you are able, find an alternative to a disposable plastic straws. But straws only account for a fraction of 1% of plastic waste, so plan your self congratulations accordingly. blue flowers are lost to/ the dark red shift,/ family of bitterness. Rearranged from the words of Annie Dillard’s incredible essay about witnessing a total solar eclipse in 1979, this poem became the origin point for a five day immersive performance at Juliet in 2017, and if you are paying attention, you’ll note that its influence is anchored now in the development of the first year of this very magazine.